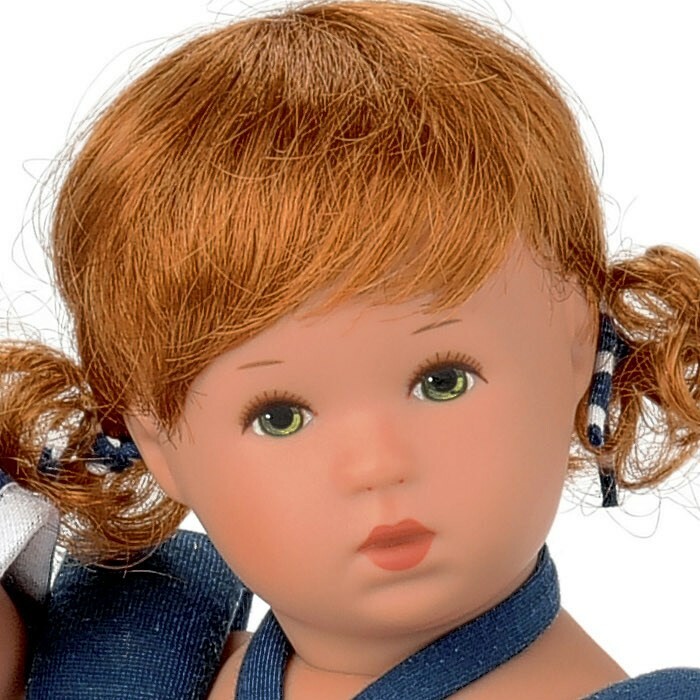 Lara is a Bath Baby series doll made in vinyl with finely-detailed, hand painted facial features, rusty brown kanekalon hair and is 12 inches tall. 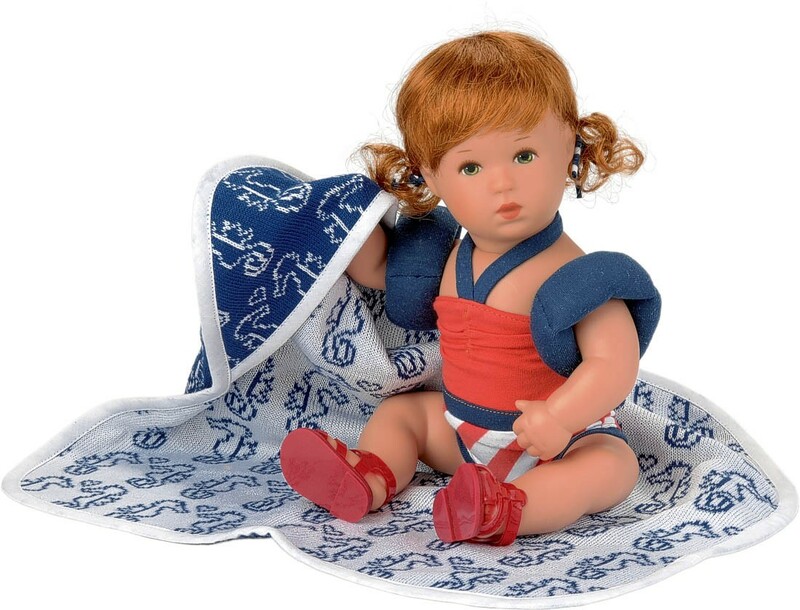 She is wearing a red, white, and blue swimsuit and red sandals and she has her own hooded bath towel. Her head, arms and legs can swivel on her body and are made from phthalate free vinyl. She may be taken into the bathtub (less than 1 hour.) Dry surface with a soft towel and continue to dry at room temperature. Due to her weight and the texture of her vinyl, Lara nestles nicely into your child's arms. Packaged in an attractive display box.